From the hottest summer days, to the coldest winter chills, Bailey Heating & Controls Inc. is here to keep your home or business’ heating and cooling systems working to their fullest! We provide installation and repairs for all makes and models, along with indoor air quality assessment and solutions. We’re the premier HVAC contractors in Greenville County, SC! 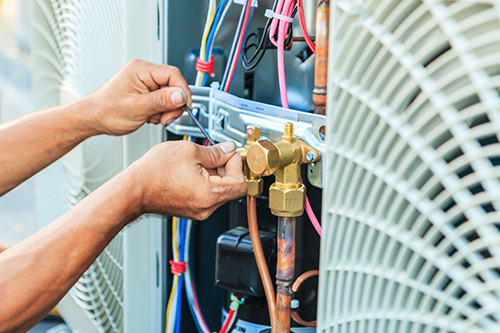 When you need AC or furnace repair in Greenville County, SC, it pays to trust a contractor that’s going to provide you with encompassing service—not just a quick fix for a problem that’s likely to arise again later. Since 1985, Bailey Heating & Controls Inc. has been systematically installing and repairing heating and cooling units to the fullest, to give home and business owners peace of mind that their critical systems are always in top working order. We work with any brand and any model, and we provide 24/7 emergency services for your convenience. We know that HVAC issues can arise at any time and are rarely small in nature, which is why we operate quickly and thoroughly to resolve them in every capacity. We’re members of the South Carolina Chamber of Commerce. Our business is proudly family-owned and –operated! We offer same-day and 24/7 emergency services for your convenience. We’re pleased to offer free estimates on all of the services we offer. Need HVAC Services, Done Right? From routine maintenance to emergency repairs, Bailey Heating & Controls Inc. is here to provide you with a free quote on superior HVAC services. Contact us today! Bailey Heating & Controls Inc.
"Service technicians are professional and respectful." "Sunday morning @ 09:45 I called the 24 hour number for service. I received a response within 5 minutes and a very personable, efficient tech..."
"Very professional service men and office staff. I had my home warranty company send out some cowboys who diagnosed my AC problem wrong. Once..."
"We've used Bailey for a couple of years on the recommendation of some local business owners. I've found that they do a great job and are hon..."